Dr. Calvin Miller’s first full-time pastorate was at Plattsmouth Baptist Church in Plattsmouth, Nebraska, from 1961-1966. He went to Westside Church in Omaha, Nebraska, in January 1966, where he served as senior pastor for 25 years. During his pastorate the congregation grew from ten members to more than 2500 members. From 1991-1998, Miller served as Professor of Communication and Ministry Studies and Writer-in-Residence at Southwestern Baptist Theological Seminary, Ft. Worth, Texas. In January 1999, he joined the faculty of Samford University’s Beeson Divinity School in Birmingham, Alabama, where he is currently Professor of Preaching and Pastoral Ministry. He is the author of more than forty books of popular theology and inspiration. 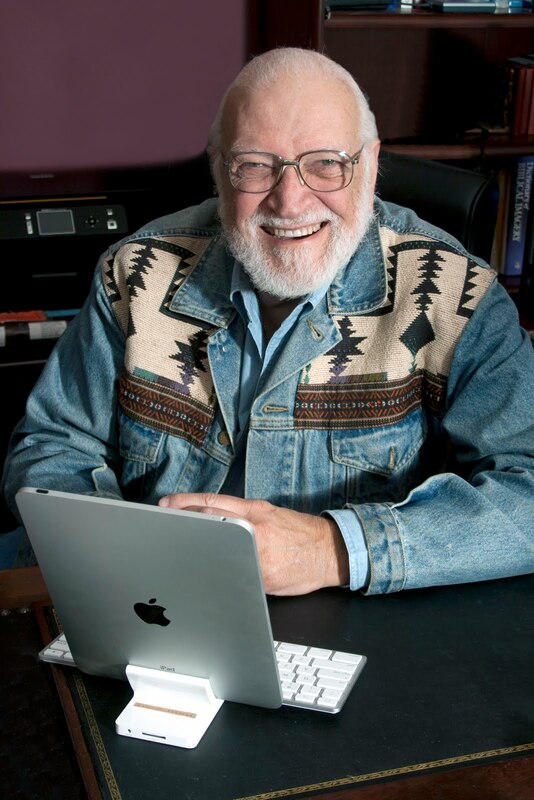 His poems and free-lance articles have appeared in various journals and magazines such as Christianity Today, Campus Life, Leadership and His. He has served as an inspirational speaker in various assemblies and religious convocations, both in his own denomination and other Christian gatherings. Getting out of bed on Monday is a grumpy chore, and overcoming the cloudy-headed daze that almost always characterizes the second day of the week requires a lot of coffee and even more determination. Mondays are hard for us all, but they are particularly difficult for pastors because they have to come down from the “Sunday high.” It’s something few can identify with, but for most pastors it’s a haunting reality that accompanies a litany of stressors like dealing with divisive people, balancing the budget and leading difficult staff members. As a result, a lot of young pastors are desperately hungry for someone older and wiser to walk with them over the mountains and through the valleys of church ministry. 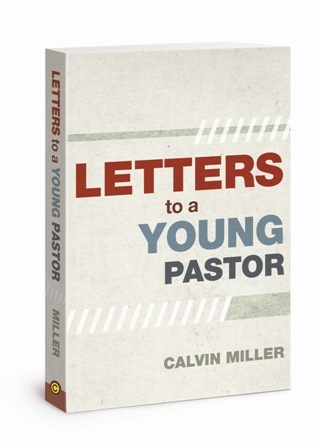 For decades, as an author, poet, pastor and educator Calvin Miller has been a lively and creative voice in the church. Having survived some of the most tumultuous decades of evangelicalism, his latest book, Letters to a Young Pastor (David C Cook), shares his wisdom and experience, his successes and his scars, to help today’s young pastors fulfill their calling…and maintain their sanity. In this humorously authentic collection of letters, he encourages young pastors to fight the good fight, stay the course and keep their eye on the Author and Finisher of the faith—no matter how frustrated they may feel. Sum up reality and opt for hope. At the turn of the last century (1900) there was a ratio of 27 churches per 10,000 people, as compared with the close of the century (2000) where we have 11 churches per 10,000 people in America! What has happened? Given the declining numbers and the closures of churches compared to the new church starts, there should have been over 38,000 new churches commissioned to keep up with the population growth. The United States now ranks third following China and India in the number of people who are not professing Christians; in other words, Americans are becoming an ever-increasing “unreached people group.” Half of all churches in the United States did not add any new members in the last two years. still be in churches of 100 members or less. The work is hard, and the pastoral survival rate is scary. Every year 4,000 churches close their doors forever, compared to just 1,000 new church starts. 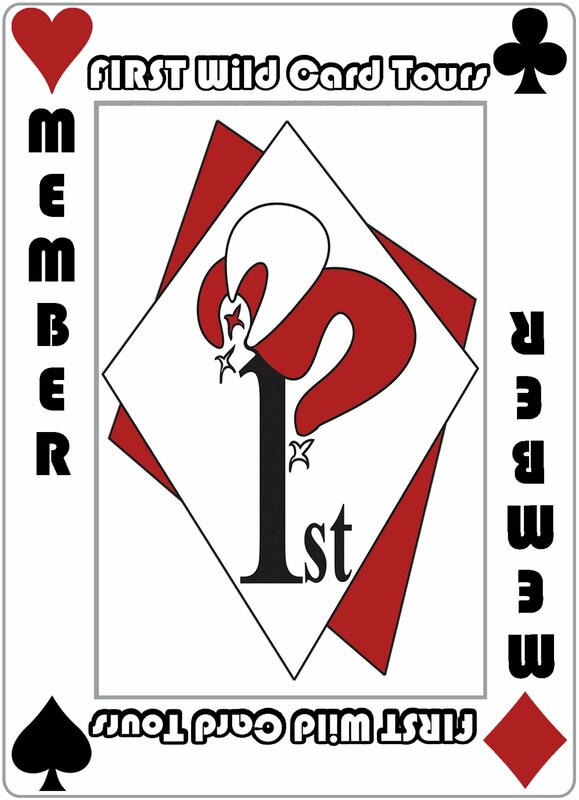 Between 1990 and 2000 the combined membership of all Protestant denominations dropped 5 million members (9.5 percent), while the US population increased by 11 percent. Each year 2.7 million church members fall into an “inactive” status. In probing for a reason for this dropout rate, the Francis A. Schaeffer Institute of Church Leadership Development found that these people were leaving because they were “hurting and wounded victims—of some kind of abuse, disillusionment, or just plain neglect.”3 The Schaeffer Institute did not comment on why pastors were leaving, but it is probably for “abuse, disillusionment, or neglect” also. Since both pastors and laity are abandoning the church, we can infer that churches are not just dying; they’re dying unhappy. It is this inference that bothers me. Doctrinal differences are not the only thing that is killing evangelicalism. We are dying from a deep infection in our own group dynamics. We don’t love each other enough to cling to each other and survive. Forget love. We don’t even like each other. That’s the core reason we are dying. And into this painful cauldron of ill will we drop young preachers and expect them to save the church. But most soon leave behind the notion of trying to save the church and commit themselves to trying to survive the church. First, we die because we suffer from congregational social schisms that result from huge doses of unforgiveness between jealous, wrangling laypeople. Second, we have too many pastors who compete within their denominations and fire at each other with blitzes of resentment. on the back of one church bus: “Follow me to Exciting WestBrook!” All such labels divide and destroy. hast sent me” (John 17:21). It took me years to understand what Francis Schaeffer meant when he said that grieving the Holy Spirit was a direct result of our failure to love. But now I do understand: Grieve is a love word! This is what Paul meant when he said, “Do not grieve the Holy Spirit of God, with whom you were sealed for the day of redemption” (Eph. 4:30). When we sin, we do not infuriate God, our Lover. We only hurt Him. We grieve Him! Until pastors and churches come to understand this, evangelicalism will continue its decline. When we fail to love each other, there is an empty ache that runs throughout the halls of heaven. And people who wanted more from us and expected more out of us will leave the church hurting, and we who are pastors will leave the church hurting, all because we have read the Bible all our lives—even knowing it in Greek and Hebrew—and never caught the connection between John 13:35 and Ephesians 4:30. This is not a truth that can ever be sold on a group basis. You can solve the dilemma only within the singular, narrow place that is your soul. And you can solve it there. Here’s your chance to turn things around. Christ is on the mound. This is a wonderful book for all pastors to read, regardless of age. It's very inspiring. Calvin Miller has a desire to mentor pastors and help them grow into the best leaders they can be. Very interesting book! Happy Anniversary, Clash of the Titles! Snappy Dialogue: Do you got it? Mommy Funnies from "The Domestic Diva"
Oreck U7200 Vacuum for only $275!